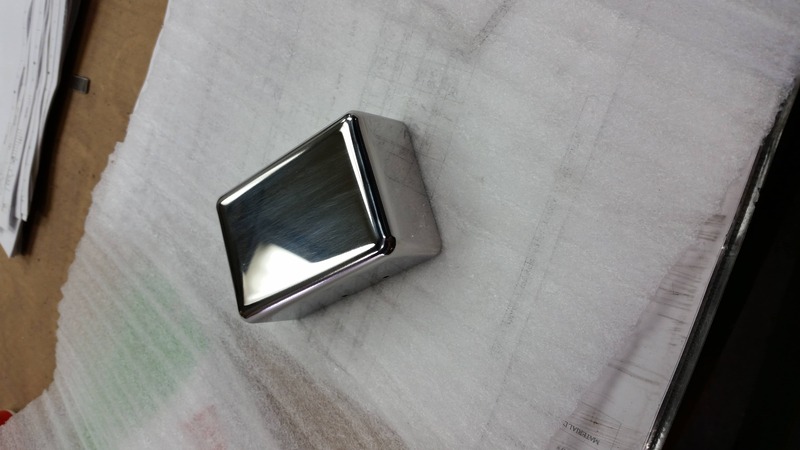 Stainless Steel Mirror finish is really a great finish as it matches a mirror so close. the brushed #3F finish. The more fancy, but also more expensive one is stainless steel in a mirror finish. 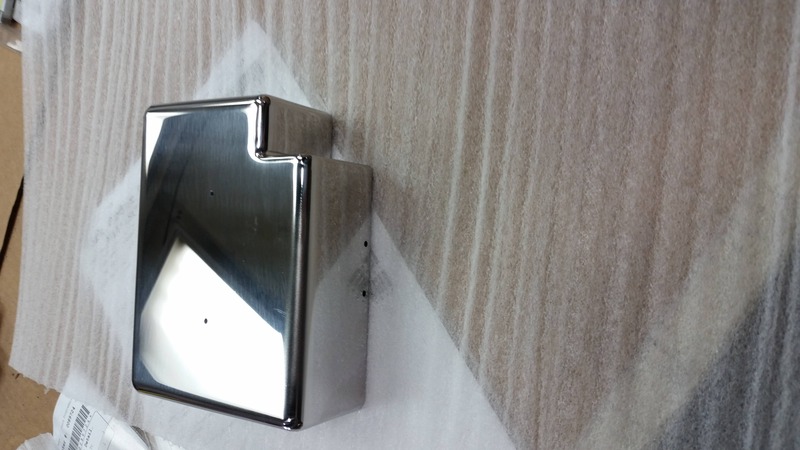 In this particular we fabricated a irregular box made out of stainless steel in a mirror finish. We welded the edges, cleaned and polished them a feature / service we do not offer as an option on the web. 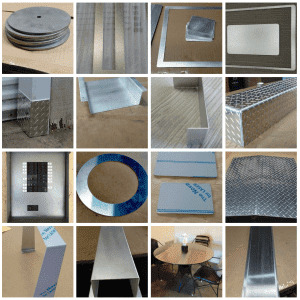 While you always can order the additional option to get the corners welded and cleaned for all the other sheet metal plates we have in our portfolio, you will have to contact us via email to get a quote for a box or tray.